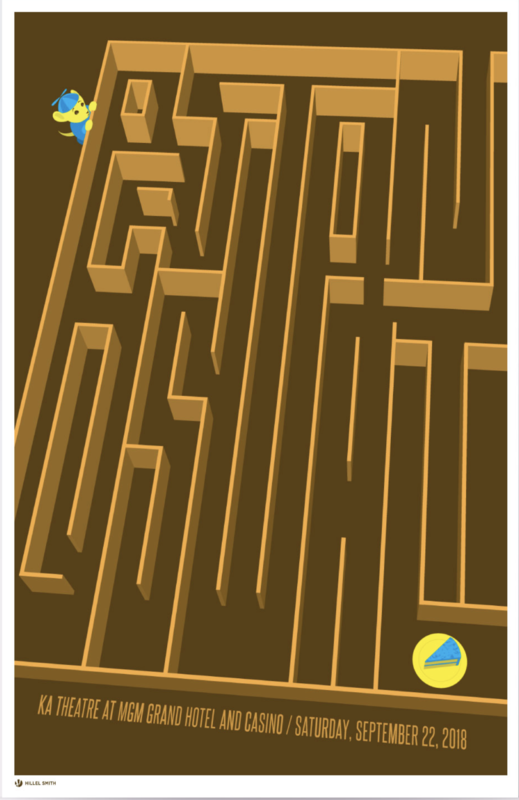 Check out this cool maze poster by Hillel Smith for Patton Oswalt’s comedy gig at the KA Theatre at MGM Grand Hotel and Casino in Las Vegas, Saturday, September 22, 2018. The maze cleverly spells out the comedian’s name! You can purchase the print HERE for $25.